Eugene (Bo) Bricklemyer, Managing Director, is an environmental attorney (J.D., UNC, Chapel Hill) and has a Masters of Law degree from the University of Washington in Marine Affairs. His areas of interest are long term planning and growth management, especially in coastal and island environments, and water conservation and appropriate sanitation issues. Jerry Speir, Senior Staff Attorney, is an environmental lawyer (J.D., Loyola, New Orleans) and holds a Masters of Law degree from the Yale Law School where he was a Senior Editor of the Yale Journal of International Law. 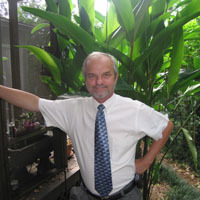 He has most recently directed the Environmental Law Clinic program at Tulane University. His interests include: international environmental law; environmental management and audit systems; coastal fresh water pollution control; and fisheries issues. 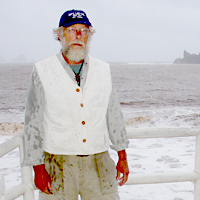 Dr. Hans J. Hartmann, Chief Scientist, received his PH.D. from the University of Washington’s College of Oceans and Fisheries Science with a dissertation on biological nutrient recycling and the problems of eutrophication in lakes. He continues this work as an Associate Professor at the University de la Rochelle in France, and with Fundacion TUVA and its work to conserve Golfo Dulce in Costa Rica. At la Rochelle, he also is Coordinator of International Relations and Exchange Programs. 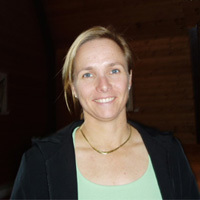 Research interests also include integrated coastal management, microbial and plankton ecology, food web energy transfers to fisheries and marine fisheries conservation. 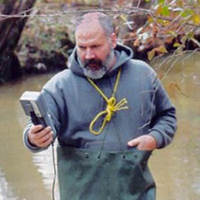 Dr. Larry Shaffer, Staff Biologist, received his Ph.D. in Quantitative Biology from the University of Texas at Arlington. 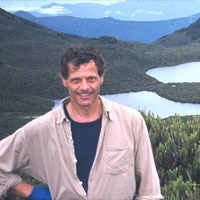 His research interests include freshwater biology and the behavioral ecology of a variety of taxa including freshwater mussels and other invertebrates. Dr. Shaffer is currently an instructor of Biology at Northwest Mississippi Community College and an adjunct faculty member at the University of Mississippi in the Department of Biology. Maaria Solin Curlier, Development Director, has both an M.S. in Marine Affairs and International Affairs from the University of Wisconsin and a B.A. in International Relations from the University of British Columbia. B. Jeffery Carl, Retained Corporate Counsel, has a general practice of law in Seattle.